Ireland’s Stephen Clancy has signed for the American-based Pro Continental squad Team Type 1, which is to be rebranded as Team Novo Nordisk. The Limerick rider has put pen to paper on a contract after impressing on a three-week trial with the team three months ago. A former winner of the Charleville Two-Day and 2011 Cycling Ireland ‘rider of the year’ award, he now faces a jump to a much higher standard of racing. Clancy will fly to Alicante in Spain next week where he will link up with the other team members before commencing a two-week training camp. The team is an interesting one, having been founded in 2004 to promote and highlight Type 1 diabetes. Many of the riders on the squad to this point have had diabetes, though for 2013 the team will be made up entirely of riders with the condition. In 2009 the team raced the now defunct Tour of Ireland where one of its riders Matt Wilson won the King of the Mountains jersey. Clancy, a 20-year-old student of Maths with PE at the University of Limerick, rode for Dan Morrissey-Speedy Spokes in 2012. 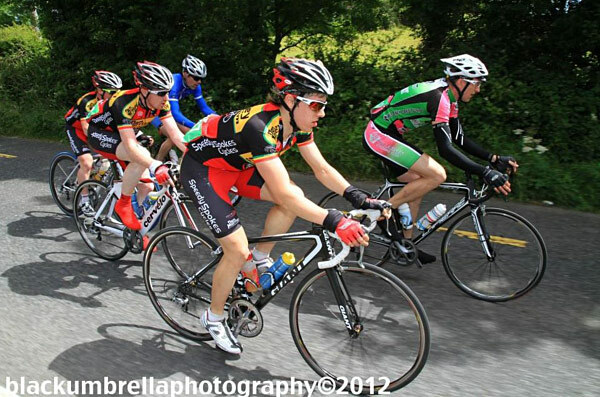 He is a member of the Irish U23 set-up and rode the Tour of Ulster with an Irish development team this year. However, while last winter went very well and he felt he had the form of his life leading into the new season, some routine blood tests in March ended with a shock diagnosis that he had Type 1 diabetes. The condition essentially affects the ability of the pancreas to convert sugar and carbohydrates into energy in the body. It necessitates sufferers injecting insulin to help process sugars and also requires those with the condition to very carefully regulate their diets. He added that routine blood tests recommended by national development coach Paddy Doran to all of the U23 riders in the Irish panel revealed he had very high levels of sugar in his system. He was told to follow a set diet for the following fortnight and when he retuned for testing his condition was confirmed. Since then he has had to inject insulin four times per day and has been forced to endure what sounds like a very challenging trial and error process during which he has gotten to know his condition and how his body reacts to it. We’ll speak to the man himself and bring you his reaction just as soon as we can.